(01-22-2014, 01:55 PM)CMur12 Wrote: I've loved time pieces since I was a young boy, so thank you all for the photos. Murray, I have the very same problem. I have a couple of large faced watches to wear just for fun occasionally but they are not the most comfortable due to their large size and my small wrist. I love the old school/new school of the Grand Seiko Spring Drive. If claims are true, extremely accurate and has a good looking sweep to the second hand. I like the El Primeros too. Of course, grand complications and tourbillons are so fascinating to watch. This is the only watch I own. A Fossil watch that I received in 2012 for my birthday. 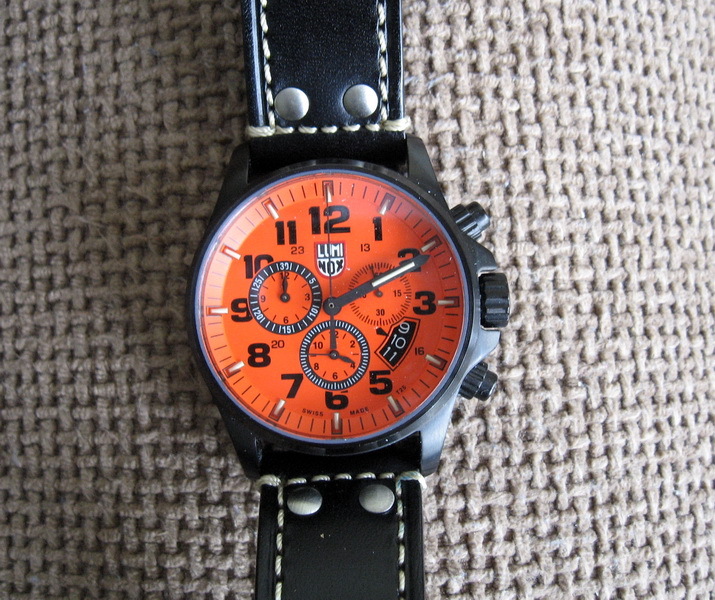 Great watches guys - keep them coming! I had a small collection before my house gotten broken into. I'm finally starting to get it built back up again. 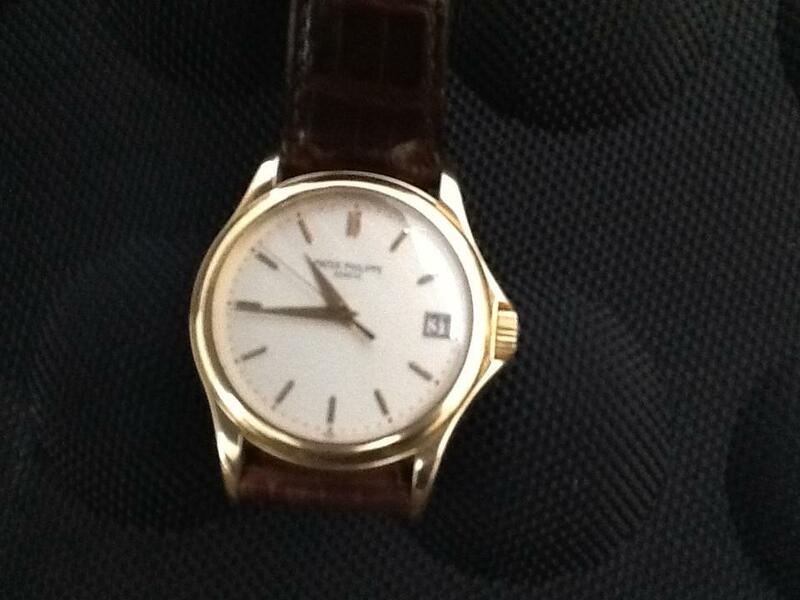 Here's my pride and joy, a Patek Philippe Calatrava, which SWMBO gave me on my 60th birthday several years ago. I wear it just about every day, except when I garden or do other forms of manual labour, work out and when I travel. I have 4 other watches: Omega Seamaster Co-axial, Omega Constellation in SS and 18c gold, Heuer (not TAG Heuer) Carrera, and an 18c Vacheron Constantin pocket watch, which my parents gave me when I graduated from university many decades ago. All watches are automatics except the VC pocket watch which is manual. But, for today I am wearing a watch I bought about a year ago but just haven't worn it until today. Now that I'm wearing it, I wonder why I haven't done so sooner. The watch is a Fortis Flieger, Ducati LE. It doesn't get any better than Patek Philippe! Here's my two my Hamilton Khaki with a Swiss automatic movement and a exhibition back, and my tough as teak Military Traser H3. (02-26-2014, 06:43 AM)Jamie Mahoney Wrote: Here's my two my Hamilton Khaki with a Swiss automatic movement and a exhibition back, and my tough as teak Military Traser H3. Jamie, I've wondered about those Trasers, which to me look somewhat like the Luminox diver watches. Have you been happy with it? 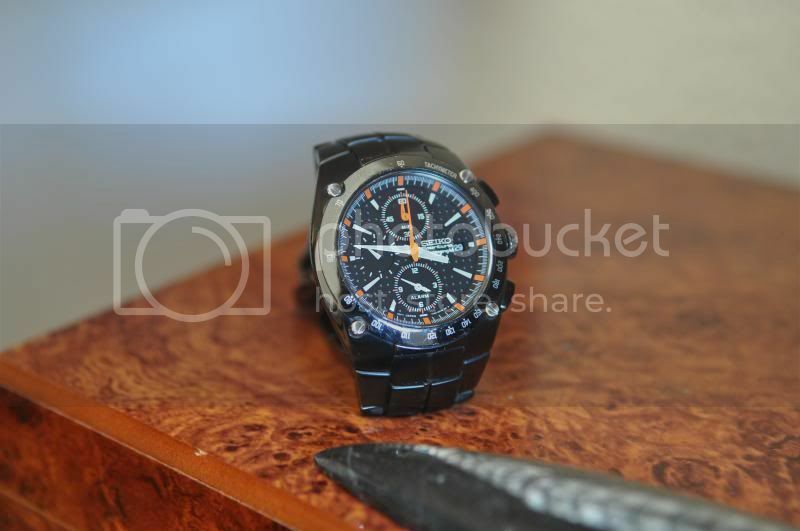 I just got this Model 1849 to add to my Luminox field chronograph collection. I think it's pretty striking. Here's my pride and joy, a Patek Philippe Calatrava . . .
That's exactly the style I like. Simple elegance. I recently got a stunning Hamilton railroad watch, model 946 with 23 jewels, made around 1906. It is in the larger 18 size that was discontinued soon thereafter. It is in near-mint condition and it is beautiful to behold.